Present your frothy coffee in rustic style with the Terra Stoneware Rustic Blue Saucer! Designed to be perfectly paired with the Terra Stoneware Rustic Blue Cappuccino Cups, these Royal Genware saucers create a distinctive hot drink presentation. 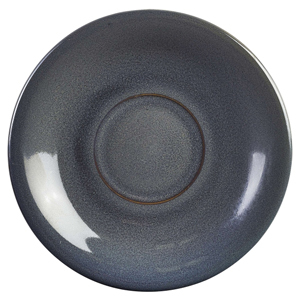 Made from solid stoneware, this crockery offers extra strength and durability.